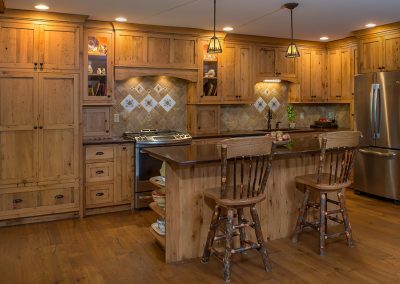 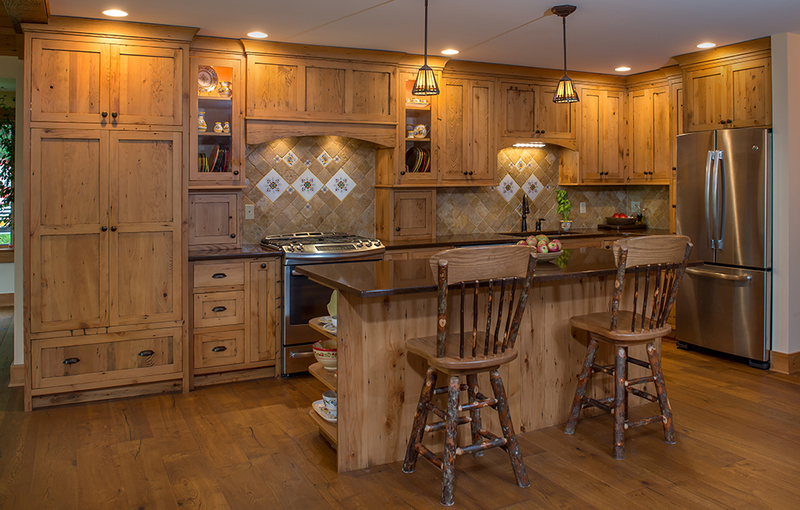 The kitchen cabinets are handcrafted out of reclaimed hemlock. 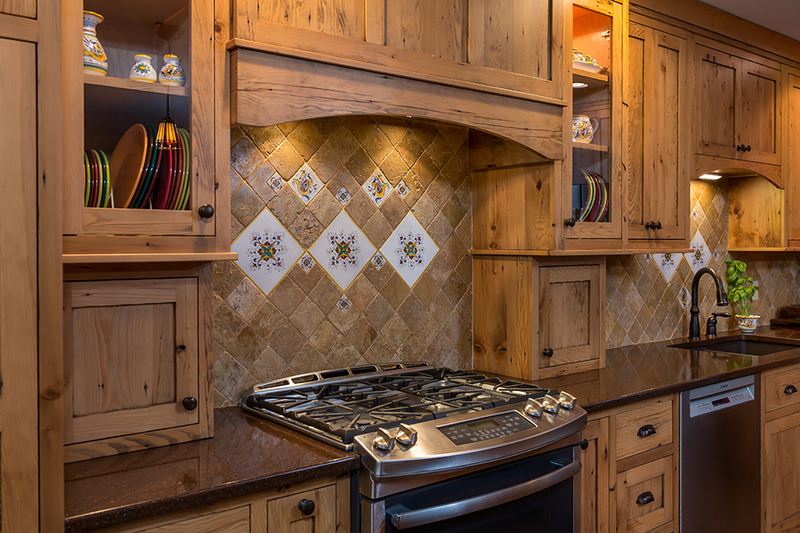 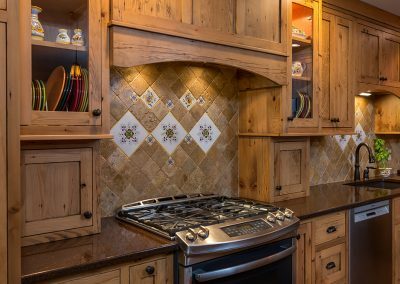 An Italian ceramic tile backsplash installed throughout the kitchen. 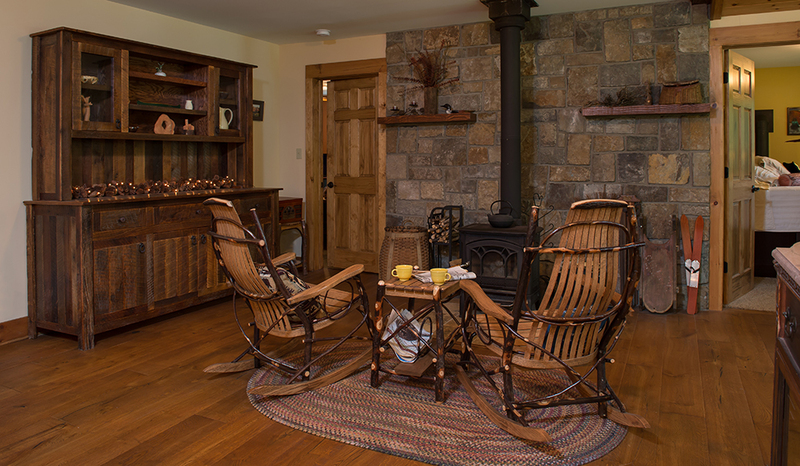 The floors are a Campania European Oak. 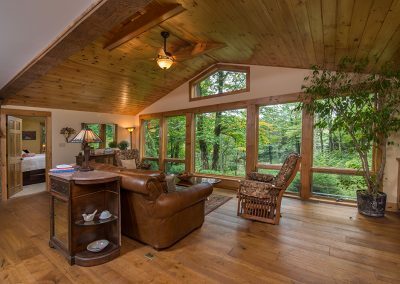 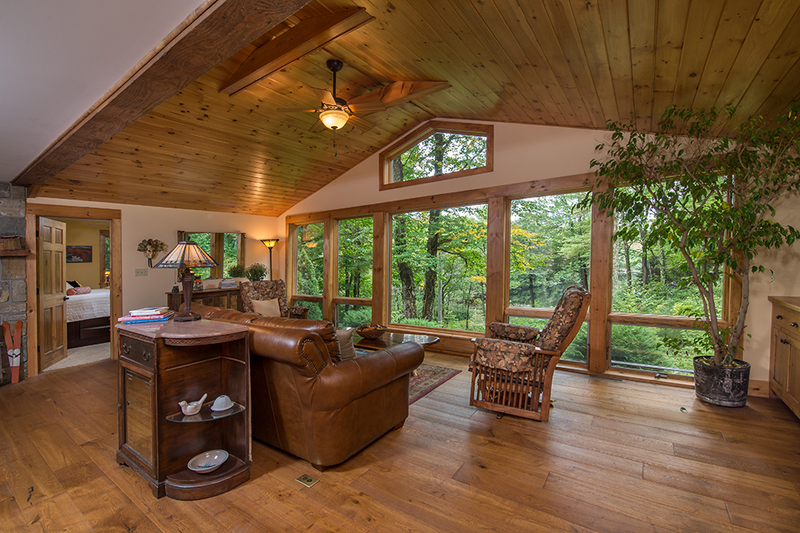 Floor to ceiling windows in the family room let in the natural daylight and provide the quiet view of Lake Desolation. 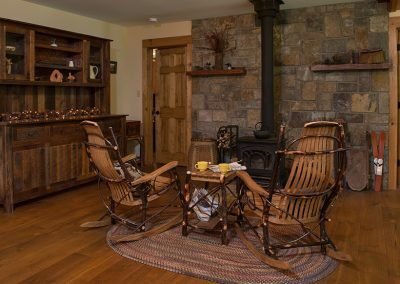 Sit by the wood-burning fireplace finished with American Granite veneer stone.